How does a church create the best worship experience for everyone? What is the best worship experience a church can provide for its people? With so many options in music, songs, instruments, and video production, it’s impossible to please everyone with the perfect worship experience. Some like loud, others like soft. Contemporary. Traditional. Hymnbooks. Video projection. Everyone has their own playlist and most of us don’t deal well with change. Churches want to attract new visitors and the younger generation, yet feel compelled to provide a meatier worship experience for the more mature believer. Worship is supposed to come from the heart, and it’s supposed to be about worshipping God and not satisfying my own preferences, but we need to get people in the door so shouldn’t we cater to their preferences? On a scale of one to ten, how well do you worship God? What? 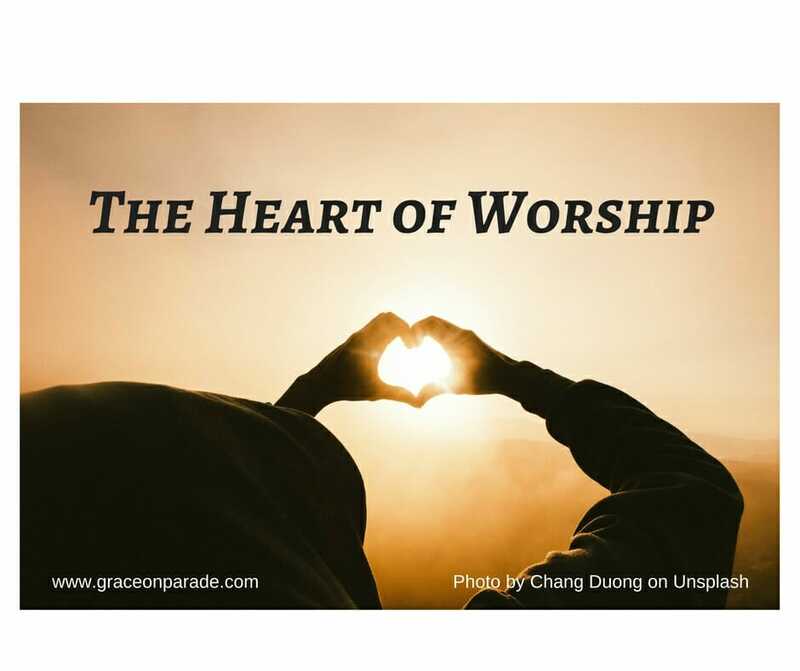 Isn’t our ability to worship defined by the quality of the worship service? Is that what I’m getting at? The practice of worship means showing up every Sunday? As soon as you say the word worship to a group of church goers, tensions mount and controversies rage. Hymn books or PowerPoints? Contemporary music or classic hymns? Quiet reverence or spontaneous celebration? Pipe organs or praise bands? My ladies’ bible study groups have been taking a look at the book of Psalms the last few months. When we came to the topic of worship, I cautioned the women to lay aside their traditional expectations and take an untainted look at what the Bible says about worship. As soon as we read Psalm 150 however, we ran into fresh tangles. How literal do you take what Scripture says? The Bible mentions dancing—does that mean we’re supposed to dance? And hello, I’m fresh out of timbrels, whatever those are. As we delved into Psalm 100 and Psalm 150, we learned four important lessons about what worship involves. I’d like to share those thoughts with you. Psalm 150 reads almost like a brainstorming session. You can worship this way and this way and don’t forget about this way. 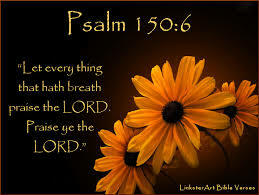 Why—(verse 6) let everything that has breath praise the Lord. The point is not whether you can sing, play an instrument, have a pair of cymbals handy, or are gifted with two left feet. God doesn’t intend to leave anyone out. What my Bible study ladies got from this list is this: use whatever you have available to praise. Anything will do. Use your gifts. Use your resources. Don’t think that your worship is inferior because your church can’t afford a pipe organ or can’t scare up a drum player. Think of something else. What DO you have? Just. Worship. I don’t think the Psalmist meant to say that worship is restricted to instrumental music. That’s why he put dancing in there. Realize what that means. We can use any creative art to worship God. So If I’m inspired to write a poem or a blog outline in the middle of a music session, am I worshiping God? You bet! Worship is not limited by space either. Psalm 150:1 clearly states: “Praise God in his sanctuary. Praise him in his mighty heavens.” Worship is not stuffed into the time frame box of 11 o’clock on Sunday morning. Worship can happen anytime, anywhere using anything – as long as it is done to truly worship God. I don’t want my expressions of worship to distract others. Nor do I want to force my preferences on others. It’s my personal opinion that praise bands who play at painful decibel levels are not taking into consideration the audience before them. 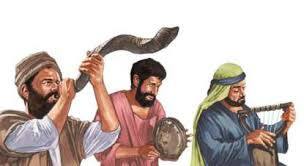 They play to be heard, not to encourage others to join in worship. Yet I think it is possible to go to the other extreme, of being too concerned with what others might think. 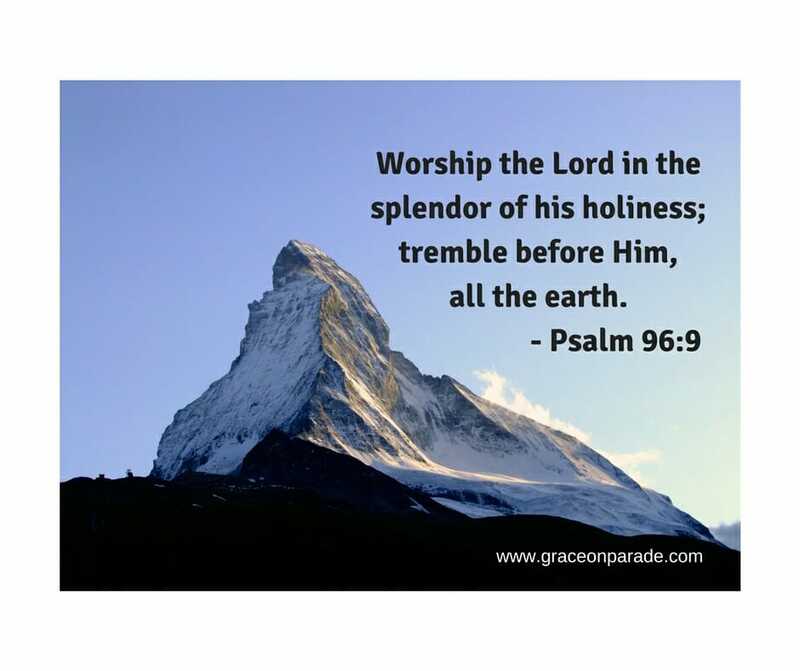 Our worship is to God—what would HE enjoy? Worship is not about me. It’s about God. It’s a plural experience, not just an individual experience. Why can’t I worship God by myself on a mountaintop? “Worship Him in His sanctuary.” Who else is in that sanctuary? Other people. The majority of the time, when the Bible gives a command, it uses the plural “you” instead of the singular. I don’t know my Hebrew in these two Psalms but from what I know in other Scriptures, we can safely assume the writer is saying, “Y’all praise him for His acts of power…[and] surpassing greatness (Ps 150:2).” Hebrews 10:25 tells us to not give up meeting together. Praise to God becomes a team effort. We do it together. Therefore, we need to be unified in how we go about it. The ladies in my Bible study brought up a beautiful point. Some prefer that people enter the sanctuary quietly. Some wish talking would happen outside the worship center. Yet after reading Psalm 100 that tells us to enter with thanksgiving and shouts of joy, they came to this conclusion. Talking with our friends before the worship service actually prepares us for worship! It helps us transition from home to church. It gives us glimpses of faith as we are reminded we are not the only Christians in town. We get to hear what God has done in the lives of fellow believers. We see folks like Chuck and Evelyn, June, and Chris—people we know struggled to even make it to the gathering of God’s people—and we are blessed simply by their presence. Worship is an outward expression flowing from an inner conviction. We may express joy and thanksgiving in different ways, according to our culture, personal preferences of tradition, and personality type. Whatever we do should be permeated with a sense of joy and awe. The Psalms give us plenty of reasons to shape our attitude around a sense of joy and grattitude. Think of who you are worshipping! The God of the Universe. A God who is good, faithful, loving, slow to anger, and strong enough to save us from anything. If I am so overwhelmed by God’s goodness and unfailing love, if I have experienced His faithfulness and forgiveness, nothing and no one will be able to hold me back or keep me quiet. Remember the rowdy children in the Temple? When the priests asked Jesus to tell the kids to tone it down, Jesus replied that if they didn’t shout His praises, the very stones would cry out. What has God done for me and for our church family this past week? What is the most effective way for our group of people to publically express our joy about our relationship with Jesus and our gratitude for His role in our lives? 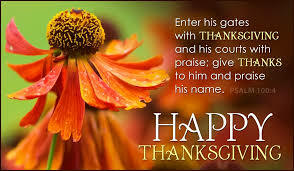 Thanksgiving is a great time to insert joy and gratitude into your worship of the Lord. Let yourself go. Don’t hold back! Worship Him with joy and abandon!